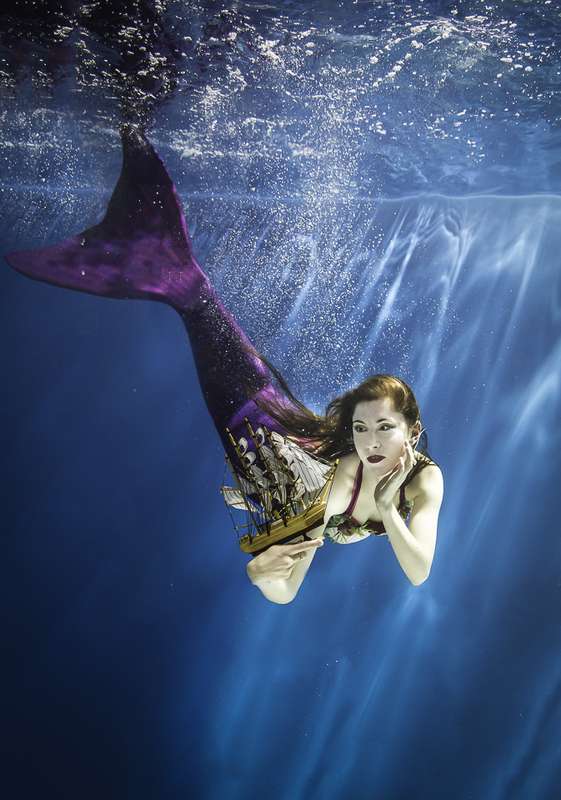 This year we are very excited to be working with real mermaids! Yes that’s right, Mermaids! Most of the work we have done to date is with young families underwater and now we will be linking up with FreediveUK, our local freediving company, to capture images of trainee mermaids who will have gone through vigorous training to safely hold their breath and glide though our waters down here in Cornwall. If you want to get involved, head over to their website and sign up for one of their amazing sessions starting in May. Don’t forget to book us for that memorable once-in-a-lifetime shot. At AquaStudios we come across all levels of swimmers young and old and it really is great to be working alongside similar-minded individuals with a love for the underwater world. It may feel a little silly but over pose! 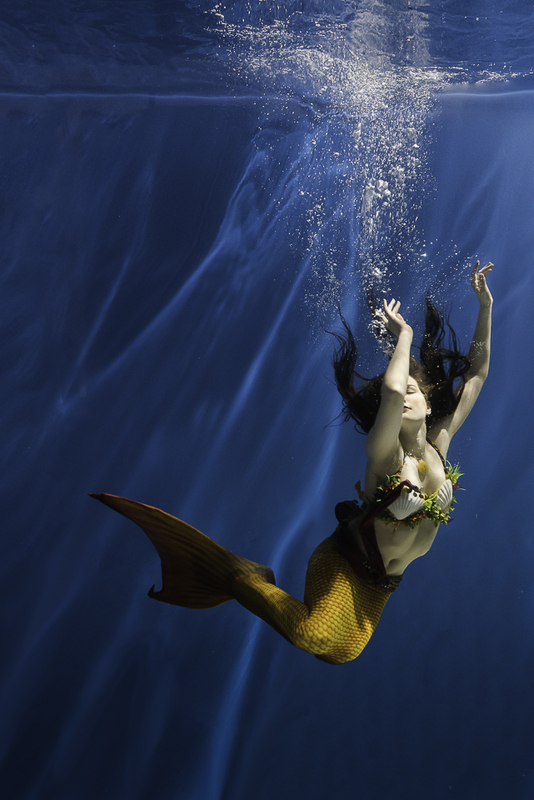 This definitely produce the best mermaidy results! 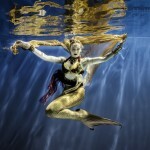 Pay attention to your expression – try to keep it the same underwater as it is above water. Taking a big gulp of air can result in puffed out/hamster-like cheeks – not a good look! 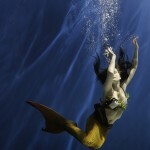 Try to aim for slow, fluid movement right from when you submerge, to when you break the surface for air. Keep arms and fingers extended, think like a ballerina! Wash your hair after the shoot, not before, as shampoo and conditioner can affect its flowiness under the water and trap air bubbles. By all means bring makeup, but make sure it is waterproof and quick to apply as time is limited. We love props, jewellery, bracelets and hair accessories, as they really add a personal touch to your pictures. Did I say relax, relax, Relax?! 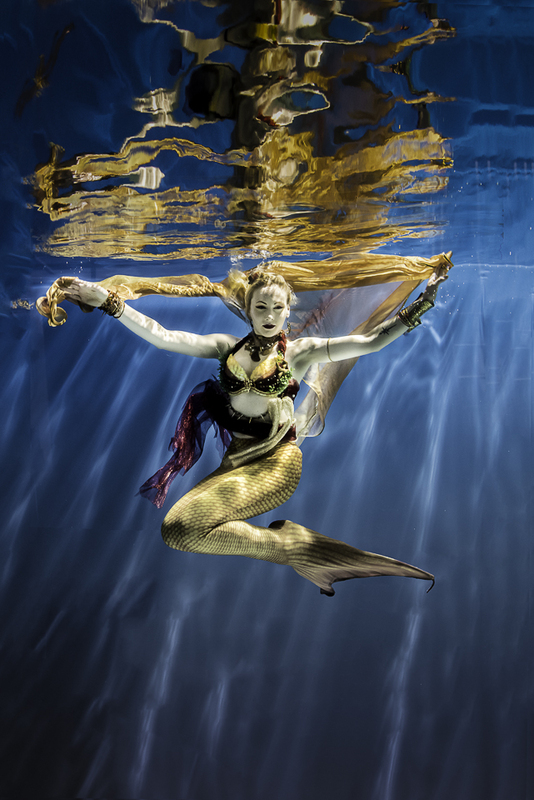 Take a look at some images we took of the professional mermaids at Merlesque and see if they will spark any ideas of your own. if you want to have some photos taken then we can do that for you.